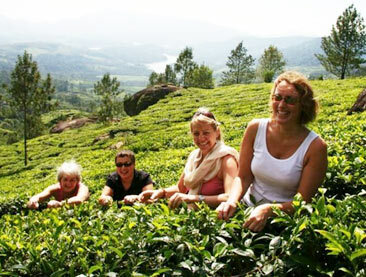 Kerala in the southernmost part of mainland India, is a state that is blessed with sprawling lush covers of nature that can be defined as a mix of evergreen and highland deciduous forests. 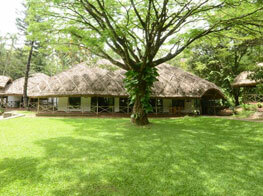 Such a treasure of nature has given Kerala the stature of a prime biodiversity zone. This in return provides natural habitat to a wide array of animals and birds that greatly contributes in the natural wealth of Kerala. Due to the accumulation of such a variety of fauna and flora, Kerala has also turned into a home of number of wildlife sanctuaries that have become hotspots for wildlife photographers and enthusiasts from around the world. 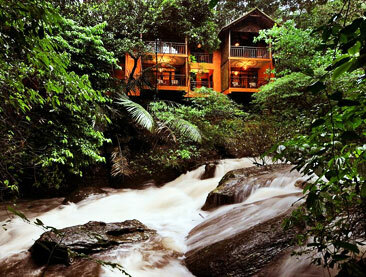 Coming first on the list of wildlife sanctuaries in Kerala is Periyar National Park. Located high in the hills of Cardamom and Pandalam in Kerala, the wildlife sanctuary is highly renowned as an elephant and tiger reserve. The park has a total of 35 species of mammals that includes some endangered breeds also. Prime species that can be spotted on a wildlife safari at Periyar include the Indian Elephant, Gaur, Sambar, Nilgiri Tahr, Lion-tailed Macaque, Nilgiri Langur, Bengal Tigers and Jungle cat. 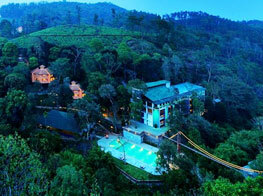 Periyar is also an ideal spot for bird watching. Malabar Grey hornbill, Nilgiri Wood Pigeon, White-bellied blue flycatcher, Nilgiri Thrush, Black Baza, Brahminy Kite and Black-necked Stork can be easily spotted on a jungle safari. Speaking of birds, Kumarakom bird sanctuary in the Kottayam district of Kerala is a whole territory dedicated to exotic birds that fly around undisturbed. Local birds like owl, heron, comorant, waterfowl, cuckoo and brahminy kite are quite easy to spot on. If luck permits, one can also catch the sight of migratory birds like Siberian crane, teal, lark and flycatcher. 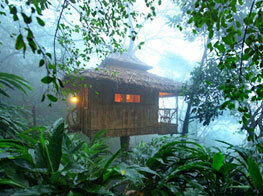 Wayanad wildlife sanctuary also fits perfect to experience some of the best wildlife expeditions in Kerala. 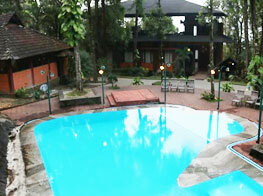 This natural habitat is the second largest wildlife sanctuary in Kerala. 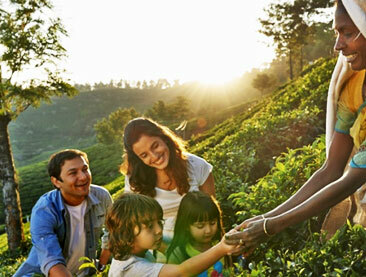 Being a part of the Nilgiri Biosphere reserves, the sanctuary has a great variety of flora and fauna, which includes rare and endangered species as well of the same. Tigers, elephants, wild dogs, civets, bears Barking deer, Gaur, Chital are the common species that you can expect to come across at Wayanad. 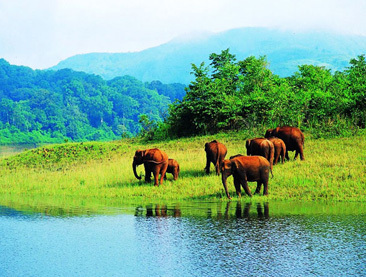 Another major wildlife reserve of Kerala lies in Parambikulam wildlife sanctuary. The region is blessed with panoramic landscapes and meandering streams, which along with a huge reservoir of wild animals, lure thousands of tourists. The tranquil greenery of Parambikulam provides a natural home for animal species like Sambar, barking deer, common langur, sloth bear, Malabar giant squirrel, elephants, tigers and panthers. 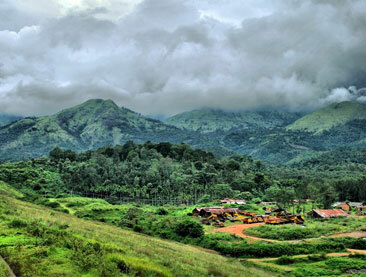 Besides wildlife in Kerala is best augmented by the setting up of various other reserves that includes the Silent Valley National Park, Peechi-Vazhani Wildlife Sanctuary, Peppara Wildlife Sanctuary, Aralam Wildlife Sanctuary, Chinnar Wildlife Sanctuary, Neyyar Wildlife Sanctuary and Eravikulam National Park.